Picking out a children’s book may seem like a simple task, but there are many options to choose from, and the perfect book for your child will depend on several factors. You need to think about your child’s age, reading level, maturity but you must also consider his/her attention span. Take some time to think about books and what purpose you need your child’s book to serve before shopping. Not only are there dozens of different types of children’s books, but there is an endless array of choices within the Muslim category. So, where do you chose the best books for your child? Start here with these AMAZING choices. We have given you a awesome list below to start with, along with links to order the book of choice. HAPPY HUNTING!!!!!! My first Wudu bath – By Hajera Memon‘My First Wudu Book’ is a colour-changing bath book, which aims to truly captivate and educate young hearts on the order of washing the basic body parts for wudu — the ritual washing performed by Muslims in preparation for their daily prayers. •	Body parts that change color with water. Introduce a child you love to the joy of learning through play during one of their favorite moments of the day — bath time! 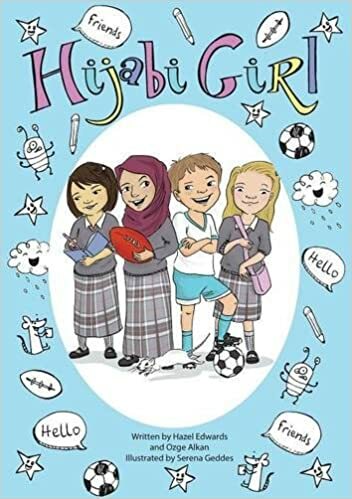 No Ordinary Day – By George GreenEight year old Ibrahim and friends win a Quran competition, where the prize sees them scoring tickets to watch an exciting football game after their class is paid a visit by Hakeem Mohammed, a star football player from the California Spartans. 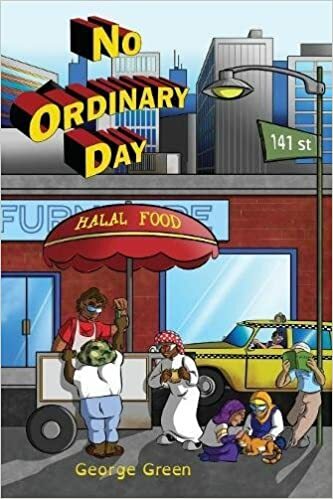 •	Fun and relatable Life Lessons: This story unfolds in No Ordinary Day, the first book from ‘Childhood Champions’, a new series of stories about a group of Muslim children in New York City and their daily adventures. •	Suitable for ages 6 – 12 years. 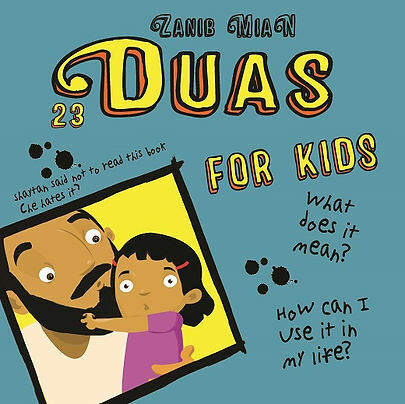 23 Duas for kids – By Zanib MiamThe book containing 23 duas from the Quran and Sunnah, gives an inspirational introduction to duas, as well as explanations at a child’s level of the implications of each dua, and how they can apply it in their own lives. The author’s use of gentle humour, and understanding of a child’s mind makes this book a great hit with any young reader. Equip your child with the skills for asking Allah! : Equip your child with the skills for asking Allah, the All Powerful, the Most Generous. •	Suitable for ages 5 – 12 years. It’s Ramadan Curious George – By Hena KhanIt’s the first day of Ramadan, and George is celebrating with his friend Kareem and his family. George helps Kareem with his first fast and joins in the evening celebration of tasting treats and enjoying a special meal. Then, George helps make gift baskets to donate to the needy, and watches for the crescent moon with the man in the yellow hat. Finally George joins in the Eid festivities to mark the end of his very first Ramadan. From timeless classics to new favorites: This playful tabbed board book, comes with a foil-stamped cover. •	Suitable for ages 3 -12 years. 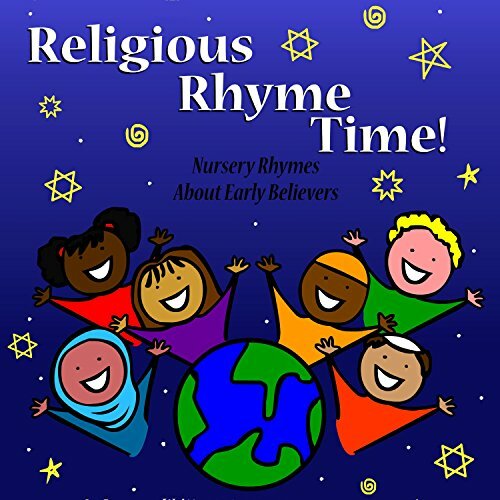 Religious Rhyme Time – By Elizabeth LymerAbrahamic action nursery rhymes, based upon congruent details in the Bible and Qur’an, for Jews, Christians, Muslims, and global citizens. •	Music and Audio. Introduce a child you love to the joy of nursery rhymes. •	Suitable for ages 0 – 4 years. Bismillah Soup – By Asmaa HusseinA spinoff of the classic “Stone Soup” folktale, Bismillah Soup is a story about Hasan, a young Somali boy who ventures out to gather his community together for a great feast at the local Mosque. His journey is full of unexpected twists and turns that lead him down a path of discovering what community, generosity and reliance on God truly mean. •	Soft cover and perfectly bound. There is something special about putting a new spin on a great classic. •	Suitable for ages 4 – 12 years. Hijabi Girl – By Hazel Edwards & Ozge AlkanMelek always finds answers, some are under her super hijab. For others she needs the help of newcomer Tien who draws fantastic worlds as an escape, or the dress-ups- guru Lily, and sometimes even soccer-mad Zac who NEVER agrees with her. Melek solves all problems, even rescuing Zac in the pool. And luckily her fashionista mother designs club colour- coded hijabs for footy fans. When it’s the Book Character Parade, Melek can’t find a book with a girl character in a hijab. With the help of her school friends, Melek makes one. Then Melek’s next challenge is to arrange an Aussie Rules Girls’ football match. •	A fun adventure. Melek can’t find a book with a girl charater in a hijab. With the help of her school friends, Melek makes one. Allah knows all about me – By Yasmin MussaThis book is written using charming rhyming text with the repeated phrase ‘Allah knows all about me,’ which reinforces your child’s faith in their Creator with the turn of every page. The language is simple yet fluid so your child would love to read it time and time again. The narrative calls on everyday thoughts, feeling and emotions, helping your child to understand the concepts of faith in a way that relates to the way they see the world. The soft-coloured, clear and captivating illustrations used in the book feature both genders and compliment the text perfectly. With its thick, durable board pages, the book has been perfectly sized to fit into your young child’s hands. •	Instil the love of Allah in your childs heart. introducing them to appealing literature, then ‘Allah Knows All About Me’ would be a wonderful member to your child’s library. Allah loves me – By Peter GouldA stunning 175 page Kindergarten activity book ‘Allah Loves Me’. 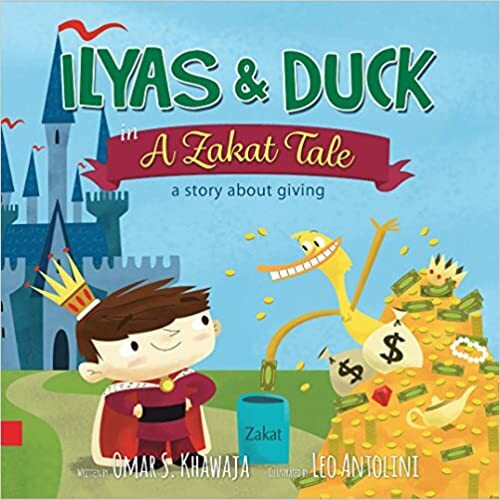 Packed with activities, games, stories, songs, stickers, and beautifully-designed Islamic content. •	Suitable for ages 2 – 6 years. •	The book has hardcover binding and comes with a cover jacket.